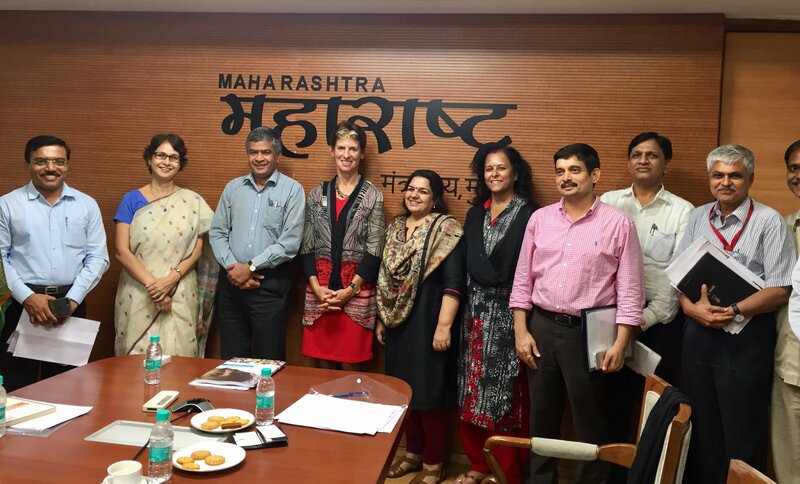 On 23 May 2017, SUN Movement Coordinator, Ms Gerda Verburg, along with a delegation from the SUN Movement Secretariat, travelled to Mumbai, in the Indian State of Maharashtra, where they met with a range of nutrition champions scaling up nutrition across the region. The delegation met with political journalist Ms. Neerja Chowdhury, Ms. Vandana Krishna, Director General of the successful Rajmata Jijau Mother-Child Health and Nutrition Mission and SUN Government Focal Point, in addition to Hon. Sumeet Mallick, Chief Secretary of Maharashtra in a bid to congratulate the State of Maharashtra on stepping up efforts to monitor the nutrition status of its population. Members of the research community, philanthropic foundations and UNICEF – who play a catalytic role in support of the State Government’s flagship programmes and schemes – were also convened during the one day visit.